Cooking at Café D: What's Your Favorite Cake? Some friends and I got to talking about cake. Someone mentioned that honestly, unless the cake is amazing...or horrific...no one remembers wedding cake. I think that's probably true. I'm not a cake lover. I can count on one hand any amazing cakes I've tasted. And, only one was at a wedding. 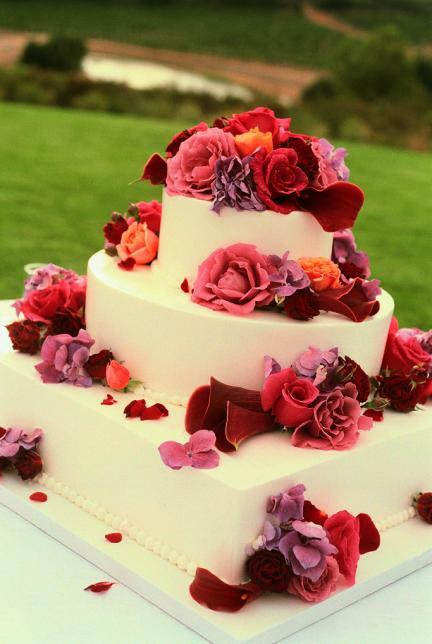 In this case, the bride came to the table and said, "Please, take the time to try the cake. I truly think it's delicious." And, I gladly took a piece...or two home. But, I want to open this up to all cakes. For me, the frosting and filling can be amazing, but if the cake is dry and tasteless, I'd rather skip it. But, a truly moist and flavorful cake - yum. Someone once showed me how to make a french buttercream. Wow - that was fabulous! And, I'll admit it. I don't like cupcakes. What is the most amazing cake you've ever eaten? If you could design your own cake, this very minute, what would it be? I love Black Forest Cake.